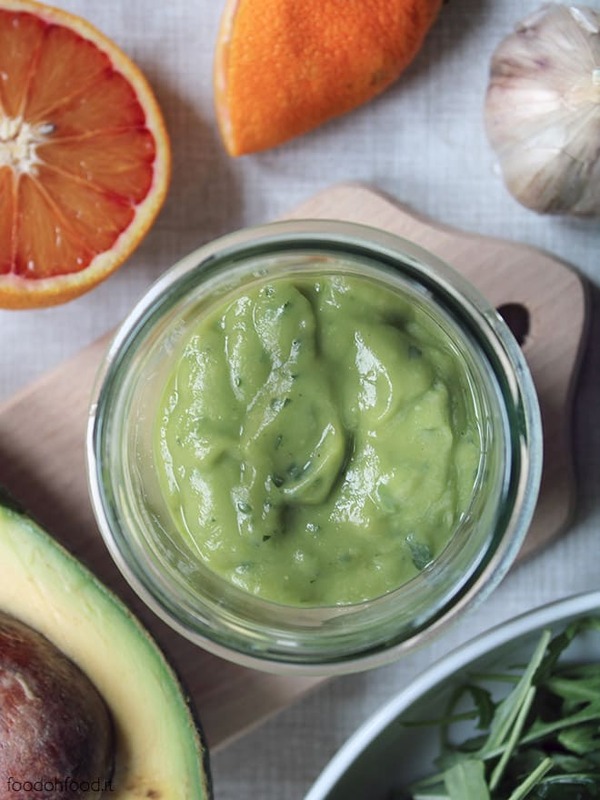 This avocado sauce is perfect for garnishing salads. Creamy and fragrant, simple and above all quick and easy to prepare. 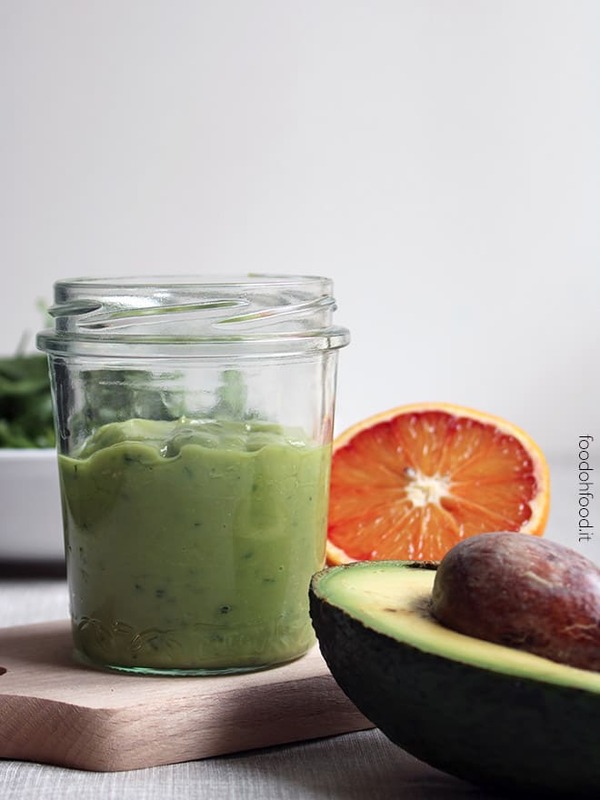 The union of creamy avocado together with the acidity of orange juice and apple vinegar create a mix that enriches any mixed salad. 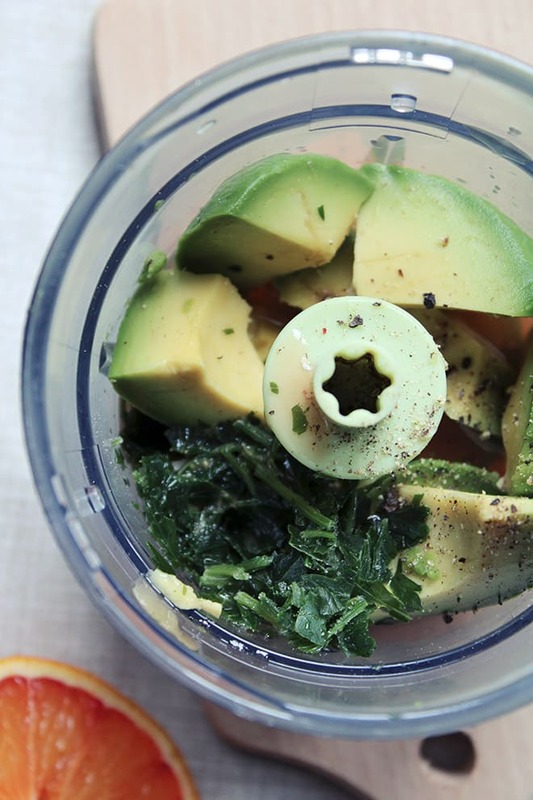 Put all the ingredients in a blender. Blend everything until it becomes smooth and creamy. Taste, adjust with salt and pepper if necessary. Add more water if you need a more liquid salad sauce. If you do not intend to use the sauce immediately store it in the refrigerator for a maximum of one day and mix well before serving.